The Creole cocktail is a timeless favorite that is a lot like a bourbon Manhattan but with a herbal-cherry twist. This drink can be found in a few early bartending guides, including the 1939 edition of W.C. Whitfield's "Just Cocktails." While it has the whiskey-sweet vermouth combination that makes the Manhattan wonderful, Benedictine sets the Creole cocktail apart. It brings in an herbal sweetness and is accented nicely with maraschino, offering a new dimension of flavor to a very familiar drink. The ratio used here is similar to that of the original recipe. It did need a few adjustments to get the quantity up to a modern-sized cocktail, though. Strain into a chilled cocktail glass. Garnish with a lemon twist. As with any Manhattan-like cocktail, the Creole will be best with a top-shelf whiskey. Choose one that you wouldn't mind drinking on its own. Sweet vermouth is a fortified wine, so it has a shorter shelf-life than liqueurs. If your opened bottled has not been stored in the refrigerator or it's been open longer than a few months, it's time to replace it. Whenever you serve a cocktail "up," it's best to chill the glass. It will keep your drink cool and refreshing for a longer period of time. The easiest way is to place a few ice cubes in the cocktail glass while you're mixing the drink, then dump them before straining. This cocktail can also be served on the rocks in an old-fashioned glass. 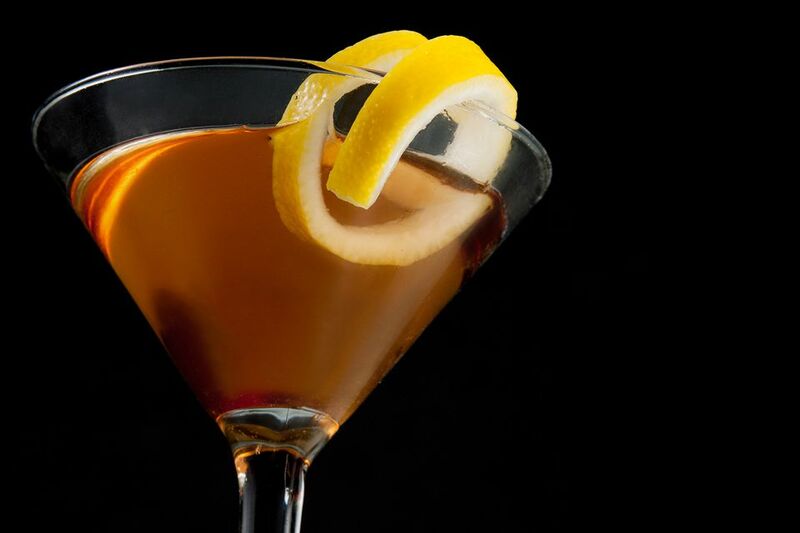 It's a popular option for the Manhattan and a nice choice for any drinks it has inspired over the years. The Creole cocktail will work with other styles of whiskey. You might want to try it with a bold, spicy rye or a super smooth blend from Ireland or Canada. It can also be very interesting with a blended scotch. Add a dash of bitters if you like. Good accents would be aromatic bitters (e.g., Angostura), chocolate bitters, or one that's barrel-aged. The Bitter Truth even has Creole Bitters, which was inspired by the cuisine and would be a perfect fit for this drink. If you skip the vermouth and maraschino liqueur, you'll have a derby cocktail. How Strong Is a Creole Cocktail? You likely noticed that the Creole cocktail is made entirely of liquor, which does make it a very strong drink. Using the average alcohol content for each of the ingredients, this cocktail shakes up to a hefty 30 percent ABV (60 proof). It's nearly as strong as a straight shot of whiskey, so it's a good idea to take it nice and slow with this one.